Smirking with obvious satisfaction at her Apprentice’s reaction, Restita led Talitha into the shuttle where they found some uncomfortable, metal seats and strapped themselves in. A few other passengers joined them; a couple of alien species she didn’t recognise, but presumed them to be apprentices by the training blades they carried; a human merchant, who gave away her profession by muttering to herself – and a droid or two. They did not have to wait long before the shuttle shuddered slightly as the repulsor-lifts kicked in, allowing the shuttle to perform a half-circle turn and taxi out of the hangar. Talitha had chosen a window seat, her mind a constant battle between the challenges and difficulties she faced – and the excitement and anticipation she felt at exploring Tython. Neither side seemed to have the mastery. It’s just a tension I need to live with for now, she thought, but maybe for a day or two I can set it aside. As the planet neared, she seemed to blink less and less, the more lush green and vivid blues she soaked in from Tython’s surface. She knew they wouldn’t be able to explore it all, possibly not even truly experience of a small part of it. But as waterfalls and rivers came into view, the Twi’lek hoped that she too could be refreshed during their stay, both physically and emotionally. The shuttle carried its complement of passengers and crew low over some tall trees, their branches and leaves bending unwillingly with the movement of the vessel. 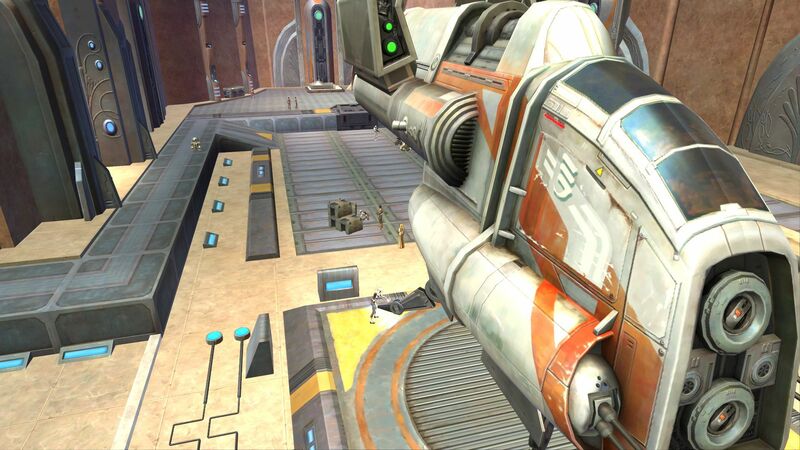 The pilot gently manoeuvred around and Talitha spotted they were heading to what looked like a massive Jedi building. 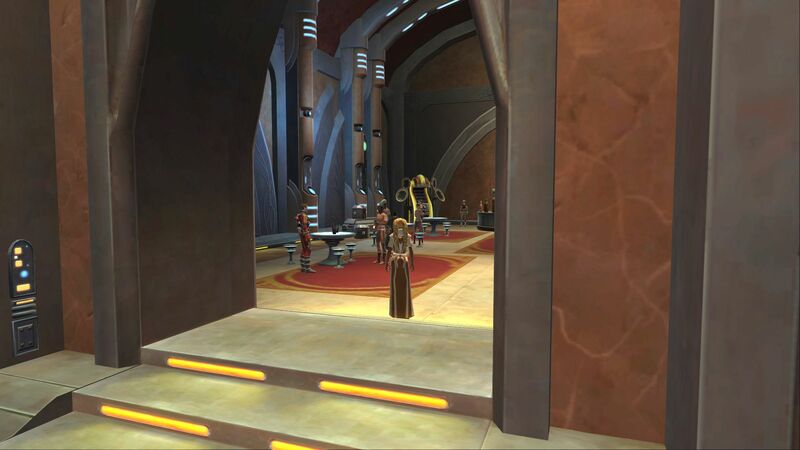 “It’s technically our Temple, but in reality it’s just training facilities and the Council Chambre”, her Master responded to the Twi’lek’s unasked question. “The same could be said of…where we first met,” Talitha pointed out, narrowly avoiding mentioning “Korriban” or “Sith Academy”. “Yes, and in like manner, there are a few rooms dedicated to teaching and meditation. Our true Temple lies in ruins on Coruscant”, Ellum’inus noted sadly. “I had heard rumours”, was all the Twi’lek could say without giving anything away to those around them. Once the shuttle had safely put down on the cosy landing pad, the door hissed open and they all made their way out. Talitha felt a warm, fresh breeze against her skin and took a deep, hungry breath, grateful for uncompressed, non-recirculated air. 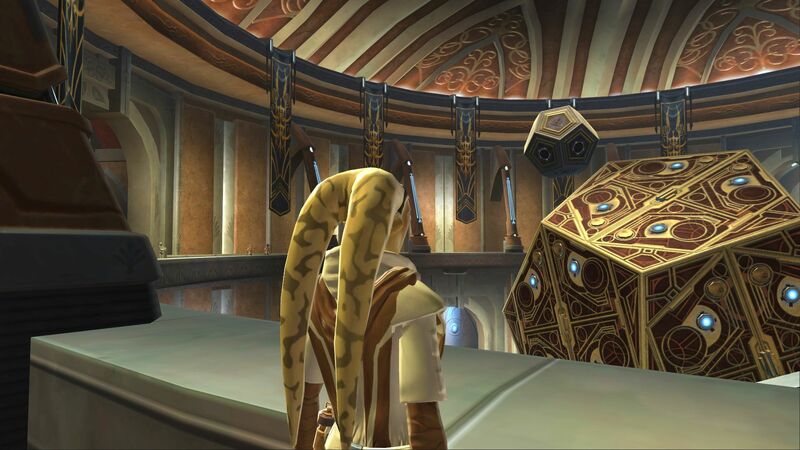 They had arrived in the heart of the Jedi Order, their Temple on Tython. And no one was attacking or even questioning them. Her Master placed a hand gently on the Twi’lek’s shoulder and guided her Apprentice towards a narrow corridor leading inside the Temple. “I don’t know what time your body clock is telling you it is. But I believe it’s about midday on this part of the planet. I highly suggest you have a wander around the Temple and the grounds outside for an hour or two. And please find some food to eat, it’s been too long since you last had real food,” she gently instructed. Talitha cast a glance back at her Master. “Council meetings can drag on, so I’ll make sure we all eat.”, she nodded smiling. “Wait you’re on the…?” the Twi’lek half asked, halting abruptly in her tracks. And with that, her Master turned right out the corridor and headed away to some huge, arching doors. Left alone and somewhat bemused by her new surroundings, Talitha took a breath and leant against a handrail on the top level of the Jedi Temple. In front of her, an ornately-crafted, multi-sided orb levitated, rotating slightly this way and that. Was it ten- or twelve-sided? She couldn’t make her mind up, but she would find out. Well done, you’re letting your mind relax, she felt the encouraging voice of her Master say, Inner-peace comes not from emptying the mind, but by simply focussing on the moment. Students milled around, some chattering loudly and excitedly, some stood in twos or threes convening quietly. 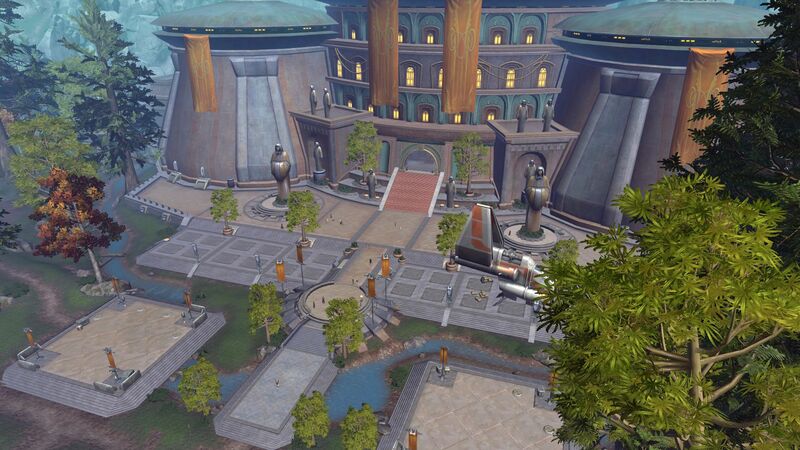 It felt busy but calm, a stark contrast with the brutish noise many Sith Acolytes had made back on Korriban. Then her stomach grumbled and she remembered her Master had told her to seek out food. Food for thought, and thought for food! She laughed to herself. She didn’t want to ask for directions to the cantina, or food hall, or whatever word the Jedi used for it. So resetting her small satchel on her shoulder she decided to wander. Her first meandering brought her into a large, circular chambre that buzzed and whirred with persistent, though gentle, mechanical sounds. Holocrons, or something like them, were hovering near some terminals. A couple of Jedi she presumed to be masters were chatting to different groups of students. One seemed focussed on attack and defence with weaponry and the other on mysteries of the Force. Both then pointed students in the direction of various terminals and set the pupils to their own research. Ah, this is their Library. I’d like some time here before we leave, Talitha noted. She slowly shuffled her way around the circle, which was decorated in natural browns and lighter stonework. Colours were all around her, which counterbalanced the dark greys and blues of the equivalent in the Sith Academy. As she wandered the chambre, she overheard talk of Twi’leks and “Pilgrims”. Although she knew they were not referring to her, she nonetheless felt slightly on edge hearing the discussions. “Hello there! 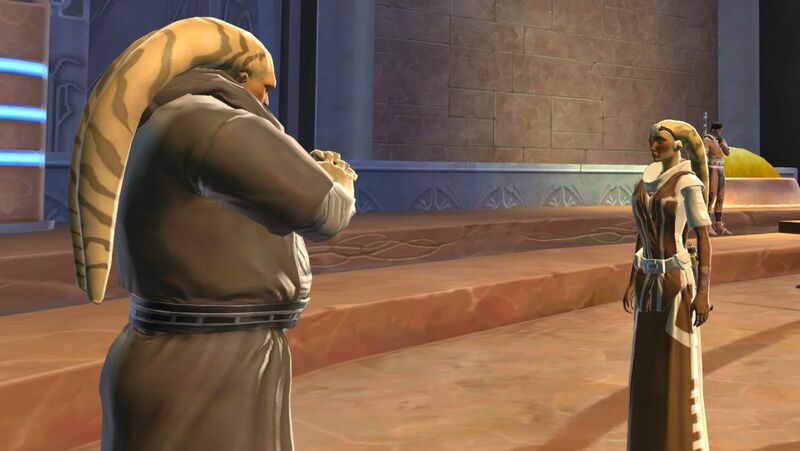 Can I help you find something, miss?” a rather large, robed male Twi’lek asked stepping into her field of vision. Taken aback at her thoughts being interrupted, she managed a smile. “Off-world? 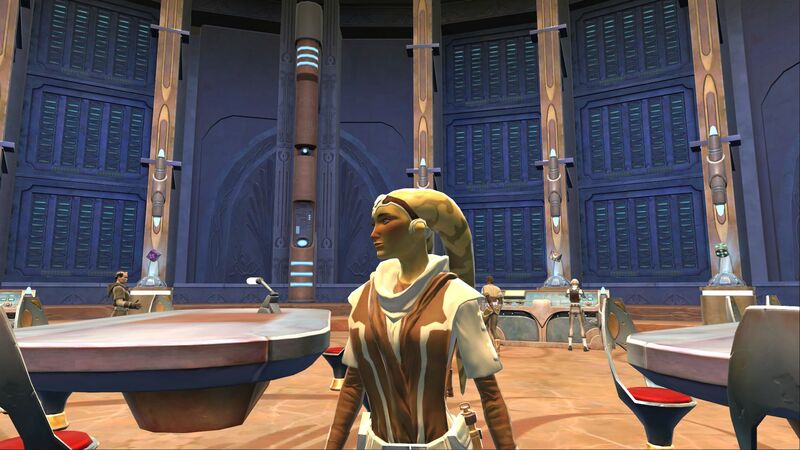 Yes, that’s right, I’m…Master Ellum’inus’ Apprentice, erm, Padawan.” she stuttered. “Apprentice, learner, Padawan, student. The title doesn’t matter. It’s the attitude that counts”. Talitha breathed a sigh of relief that her terminology hadn’t given her away. “I’m sorry, I’m just tired from the journey. We can chat later, hopefully. I just need food.” Talitha wearily reminded him. Talitha hesitated before pulling out her datapad, flicking the focus from her prior research and onto the map of the Temple. She cautiously handed the pad over, which was returned in just a few seconds. “Thank you, Master,” Talitha said inclining her head. The Jedi clasped his hands together and bowed his own head in response. 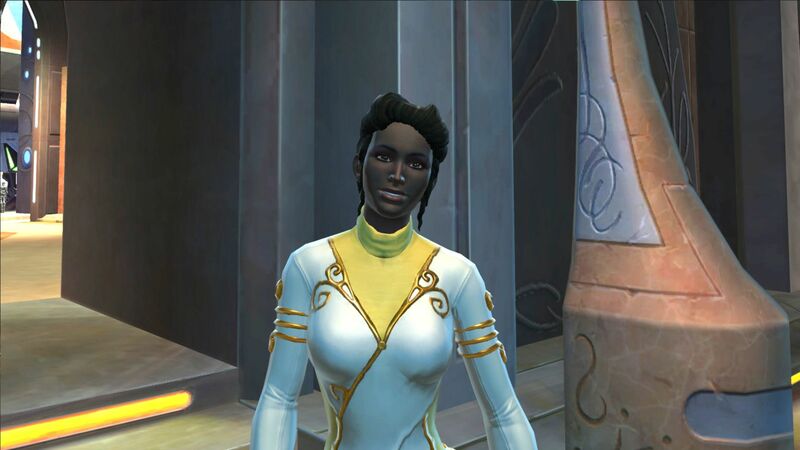 Talitha nodded and made her way out of the library, following the datapad’s directions. As she made her way down the semi-circular slope to the ground floor, she didn’t see a figure behind one of the pillars looking in her direction. Once down the corridor, her mouth watering at the smells of meat wafting down towards her, Talitha became oblivious to all else. She certainly didn’t know she had been watched going into the cantina. The cloaked figure frowned and slowly made its way out of the Temple.